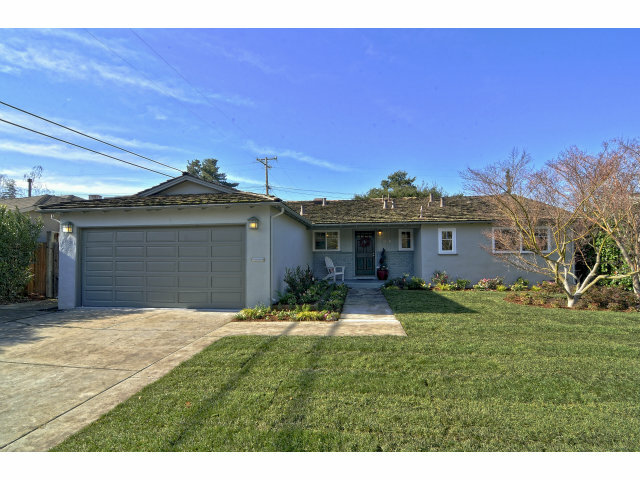 This blog is all about the interesting goings-on in the wonderful communities of Mountain View and Los Altos, with an obvious bias towards homes and real estate. Heather Green is a REALTOR®, foodie, design-enthusiast, mother of two living on the boarder of Mountain View and Los Altos. We're only two months into 2013 and so far the trends of late-2012 appear to be holding: low inventory, increasing prices, which puts the balance of power on the seller side of the transaction. Forbes.com reports that nationally, inventory is at a 13-year low - the lowest since December 1999. And I imagine in Silicon Valley it may be even more historically low than that (but could find no data to support that hypothesis - perhaps at the end of Q1 2013). That's 28% over asking and the quick close indicates an all-cash transaction. That's 15% over asking and again, a quick close indicating all cash. That's 11% over asking and $1211/sq ft of living space. *It is worth noting that 985 Eastwood Pl originally came on the market in September 2012, unstaged and listed at $2,388,000, and didn't sell. Which begs the question: did the market change that much in 4 months or is this just an excellent case for staging?